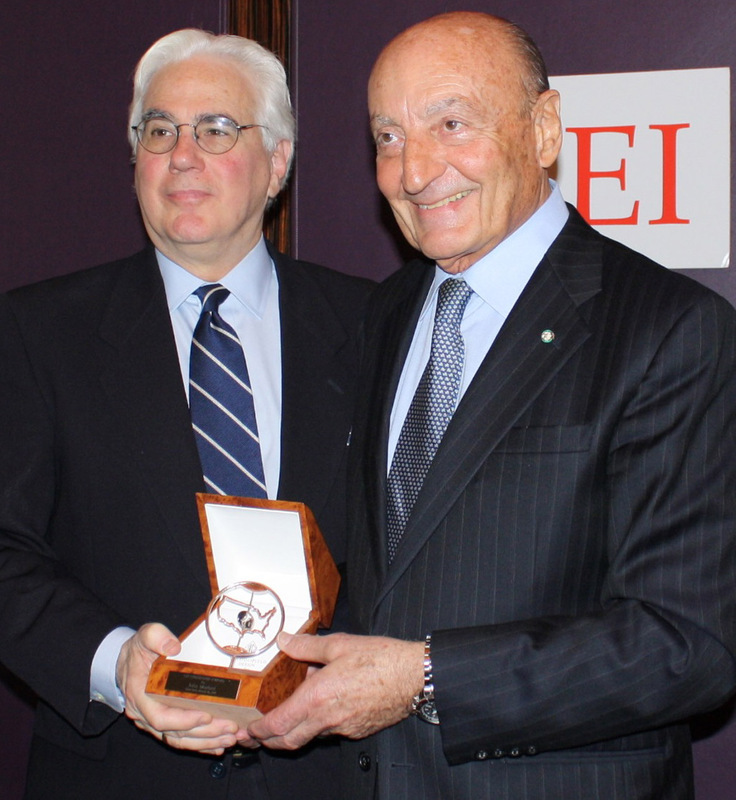 GEI Luncheon in honor of Mr. John Mariani – New York, March 16, 2011 – Remarks by Lucio Caputo – President of GEI. John Mariani is a columnist, cookbook author, magazine writer, and publisher of an online newsletter. John especially loves Italian food and drink but his interests range far, and include wine, restaurants, and American food. John’s newsletter is called Mariani’s Virtual Gourmet Newsletter. and The Italian American Cookbook, written with his wife Galina. Mariani, who the Philadelphia Inquirer has called “the most influential food-wine critic in the popular press”, in his new book explores how Italy’s regional cucine changed from their initial marginal status in the U.S. to become the most stylish and influential food type in the world. Mariani follows the wave of hopeful Italian immigrants who arrived in America clinging to their familiar food and determined to use it as a means to a better life. Their eventual rise from pizzeria and sandwich shop to the present status is richly narrated. I am therefore very pleased, on behalf of GEI, to welcome Pietro Scott Jovane and to present him with the GEI Friendship Award in recognition of her many accomplishments. The luncheon was held on March 16, 2011 in the Stella Private Room of Le Cirque restaurant in New York City.